Narrow Aisle Pallet Racking optimizes the maximization of space whether used for industrial racking or as a warehouse rack. 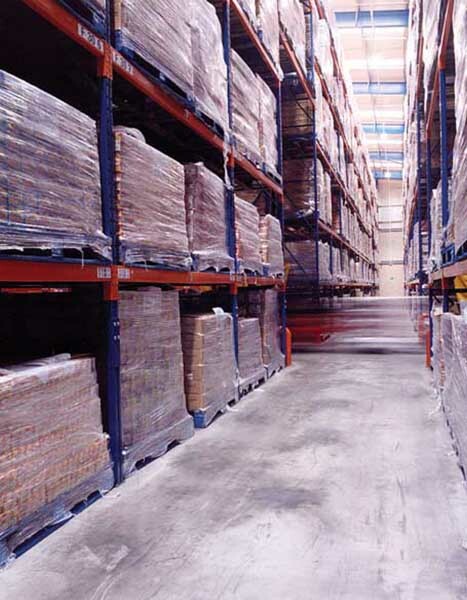 Narrow Aisle Pallet Racking systems have an aisle width of around 1.6 - 2.3 metres. This can free up between 30 - 40% of the floor space given over to aisles in a wide aisle scheme. 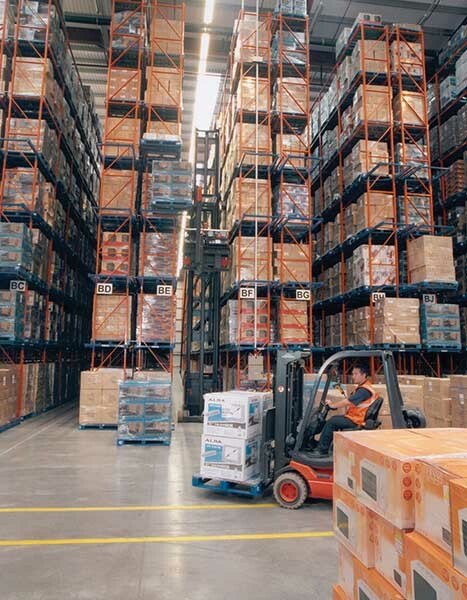 Reduction in the width of aisles between racking compared to standard pallet racking systems can improve overall quantity. 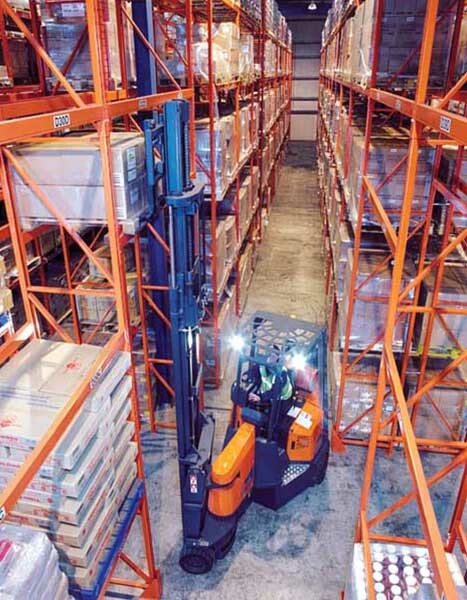 Narrow Aisle specialist trucks typically have an articulated mast giving a net result of a much larger increase in space utilisation when compared with conventional reach truck applications this allows them to work well within the aisle's of the narrow pallet racks. The trucks turn in the aisles via the articulated mast and no guide rail or other guidance system is required. It should be noted that the tighter the operating clearances allowed in the aisle, the slower the general speed of operation will be. It is better therefore with such trucks to allow as much operating clearance in the aisle as possible without compromising the justification for the system. Although this specific type of pallet racking makes excellent use of storage space by expanding the height of which goods are stored at. 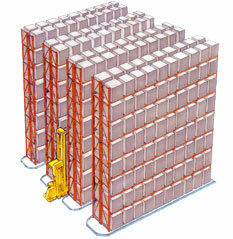 Narrow Aisle pallet racking is efficient and is a real advantage to workforce well being. 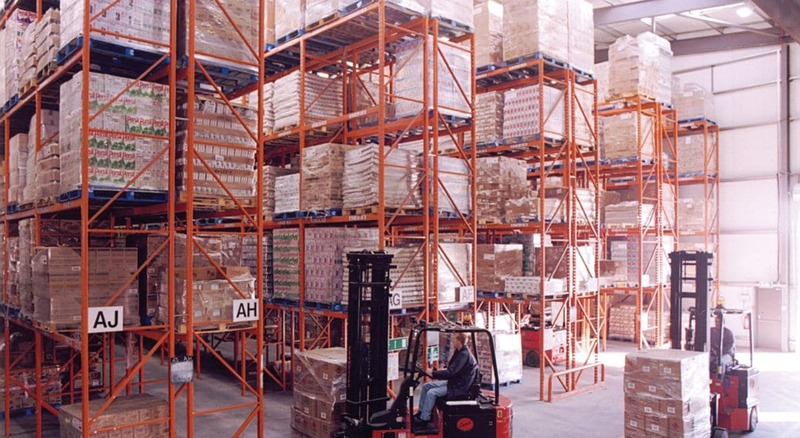 As the risk of accidental damage is reduced dramatically when opting for this racking system and using the unique equipment to maneuver around. All our pallet racking is manufactured in the UK. To find out more contact us on Tel: 01543 279543 or Email: sales@redirack.co.uk.